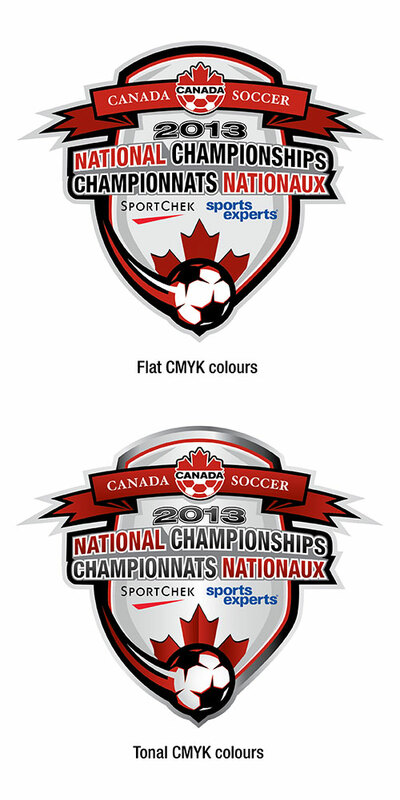 Here is a concept I made for the Canadian Soccer Association National Championship. Unfortunately the emblem was declined and never used. The difficulty in this project was all the elements that needed to be incorporated i.e. both french and english title, the Canada Soccer logo, the year, the two sponsors and a reference to soccer.